Technically, a load works as a transducer that is used to converts force or weight into equivalent electrical signals. Load is an immensely accurate device used to measures weight or force for a various different applications such as compression, tension, bending, or shear forces. The load cell device is designed such that it is stressed when a force is applied due to its strain gauge technology. This technology is a well established technology and metal foils are used to manufacture strain gauges. Under a normal regulated voltage when the load, stress is applied, an equivalent electrical output signal proportional to the force or strain is displayed. Such electrical output signal requires amplification before directly displaying the results of stress. There are many types of load cells available and are used in various applications such as compression load cell. According to the study “Asia Compression Load Cell Industry Situation and Prospects Research Report”, the increasing investment in industrial automation technologies, use of compression load cells in automotive assembly lines, logistics and R&D applications has led to a huge demand for compression load cells in Asian countries. Advanced technology such as wireless and innovative software features has led to installation of digital compression load cells in various required locations. Advanced technology in compression load cells need specialized applications to display precision signals that would accelerate the compression load cell market. Furthermore, the increase cost of raw materials and rising regulatory obligations for high quality industry rated materials is increasing the cost of various production process that hinder the growth of compression load cell market. Asia compression load cells market is segmented based on technology such as analog and digital. 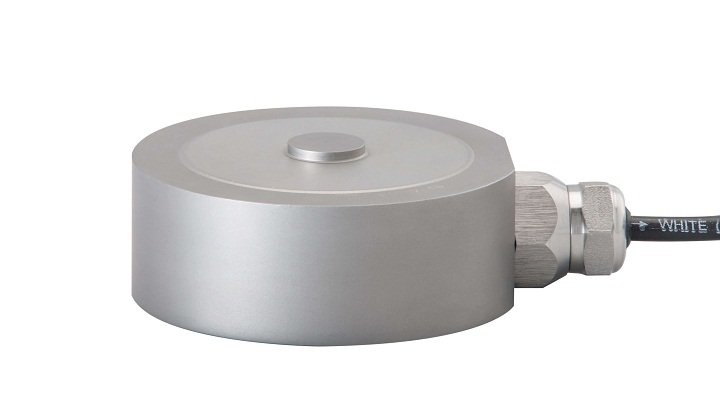 On the basis of type, Asia’s compression load cells market is categorized into S beam load cell, Z beam load cell, column load cell, annular load cell, force washer load cell and others. Compression load cells are utilized in agriculture equipment, oil and gas industry, aerospace & defense, automotive, retail, healthcare and bulk material handling. The leading players in Asia’s compression load cells market are ZEMIC, Spectris, Vishay Precision Group, Mettler Toledo, MinebeaMitsumi Inc., Keli Electric Manufacturing (Ningbo) Co., Ltd., A&D, Measurement Specialists and National Scale Technology, PCB Piezotronics, Inc., Flintec, Honeywell, FUTEK Advanced Sensor Technology, Inc., Yamato Scale Co., Ltd., Interface, Inc., Kubota, Rice Lake Weighing Systems, Novatech Measurements Limited and Thames Side Sensors Ltd, and LAUMAS Elettronica. All the leading vendors are increasingly focusing on creating strong brand names, offering well-established products, and exhibit long-term reliability. Various product types in compression load cells are pedal force type, high capacity type, load button type and others. Geographically, Asia compression load cells market is spread across China, Japan, India, South Korea, Saudi Arabia, India and other regions. Compression load cells account for the largest market share due rapid industrialization in Asian economies where there is an increasing demand for industrial weighting equipment and almost all the manufacturing firms are installing more automated systems for better results. The increasing use of sensors in industrial and commercial electronic devices has led to an increase in demand for compression load cells in Asian markets and this trend will continue over the next few years.